Have Your Hormones Turned Against You? Ladies, I hate to break it to you but if your crankiness meter has reached its limits – and you have no clue why – your hormones might have turned against you. We all know frequent hot flashes and mood swings are well-established signs of menopause, but things can start to get much worse if left unattended. Unlike hormone changes that occur during adolescence or when you become pregnant, after a certain age, the changes in hormone levels drop causing unwelcomed side-effects. Let me give you a few clues that may suggest you may be experiencing a hormonal imbalance. Take a look at this list and see which ones might apply to the person you see in the mirror. You’ve finished all your tasks and home chores to get in front of the TV to watch your favorite show and what happens? You fall asleep. If this also happens in the middle of the day, It’s not just a random wave of exhaustion. Your hormones may be the culprit. You realize you just missed your period. What a pleasant surprise you say. But then you get a heavier dose of “reality” next month. Now you are concerned. What could it be? Well, it could be your hormones are out of whack. Let’s face it, there are a ton of reasons why you might not want to get intimate with your partner. But seriously, not having the desire to be intimate is a tell-tale sign that your hormones are keeping you from free and healthy entertainment. The reality is that the quicker you are able to get aroused, the more “lubricated” you will get. Of course, there are other factors like stress and health issues that don’t make it easy. Nonetheless, a hormone imbalance is a likely suspect. Okay, listen carefully… this one can be hard to admit, but it’s easy to identify. Here is an easy exercise. Look in the mirror and close your eyes. Take a deep breath and talk to yourself – in your head – about how things are going with you. Do this for a minute or two. When done, open your eyes and see your expression. If you look stressed or sad get your hormones checked before considering visiting your doctor for depression. This particular effect can lead to many other misdiagnosed conditions. When you lose your hormonal balance, it can be difficult to fall asleep or your sleep becomes so restless that you wake up several times during the night. Take this seriously. Lack of sleep can lead to unnecessary stress, which can then lead to symptoms of depression. You are busy working in the office when, suddenly, you get a flushed face, get hot and start sweating. Some women think this is normal with age. Instead, ask yourself if it’s time to get your hormones checked. Did you know hot flashes can start to become more frequent with time? If you can’t LOL without accidentally peeing yourself, well… Der’s yur sign!. I understand the situation can be embarrassing, but you can do something about it! Or are you waiting for it to “just go away”? Not likely. How often do you walk into a room and realize you forgot what you were there to do? Lack of concentration and focus also accompany the memory lapse. If you find yourself being forgetful for no reason, this might also be a good reason to get your hormones checked. I know this is hard, but don’t panic the first time you notice your hair falling off like leaves off trees in the Fall. But don’t be fooled. It’s common for women to think that their hair is falling due to stress. Guess what? You stress much easier when your hormones are not in balance. Don’t wait for this to happen. Does it seem that you gain most of your weight along your waist? Even if you gain weight evenly, but inexplicably, it could be an issue with your hormones. Either way, it will put a dent on your silhouette. It’s scary I know, but you can ask your doctor for a hormone evaluation. One of the worst things that happen to you after menopause is that all symptoms worsen. If you have allergies, they will start to become more intense. Skin breakouts might also become more common as a result of reduced levels of estrogen and progesterone. Here’s the deal. Many menopause symptoms can be treated with hormone replacement therapy, often shortened as HRT. But not all hormone therapies are the same. If you want your mojo back, there is one solution that is effective and changing lives. 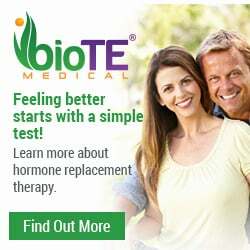 That’s Bioidentical Hormone Replacement Therapy (BHRT). 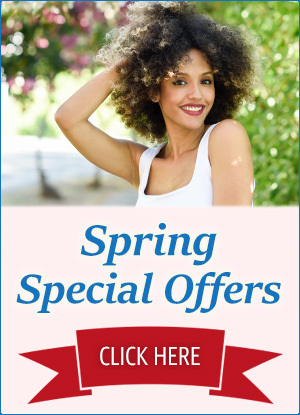 You don’t have to remember to take it or apply it like gels, skin patches, rings, tablets, creams, etc. In short, this is the most effective treatment for menopause symptoms out there today. It starts by requesting a talking to your doctor or gynecologist about your symptoms and requesting a hormone lab test. Don’t let your hormones turn against you. Decide to do something about it today so that you can regain your ability to enjoy living again with energy and zest for life.